I am always looking for appetizers that I can take to family functions or my kid activity functions. THIS is my new go to recipe. I was not sure when I first saw the recipe had Frank’s Hot Sauce included as a main ingredient. I thought for sure it would be way too spicy for anyone but me. I was pleasantly surprised by the outcome. A sweet taste followed by some hotness but nothing too hot. You could spice it up and add more Frank’s if it isn’t hot enough for you. As always, I had my neighbor John come over for a taste test. I got the “ehhh I don’t know’. He then went in for a second try and a third and then a bowl. Definitely a hit! After I got my pictures done and was snacking from the bowl, my kids asked if they could try the meatballs. Within minutes, the bowl was empty and my kids asked me to make more. Definitely, a kid friendly food . I used Jenni-O turkey meatballs, but you could use any type you like. Two hours to cook and then put it on warm temperature. 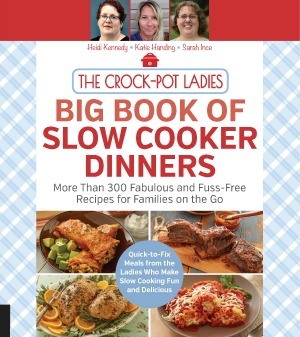 Serve right from the crock-pot! As you can see from the picture, I purchase my honey in bulk. The local apple orchard sells honey by the half gallon and you can taste the honeysuckle nectar in it. If you can purchase local honey, do that before you purchase from the store. Local honey always has a better flavor and texture. More fantastic meatball recipes you don’t want to miss! 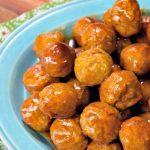 Serve these super tasty meatballs at your next party and your guests will be begging for the recipe of these sweet and spicy meatball nuggets! 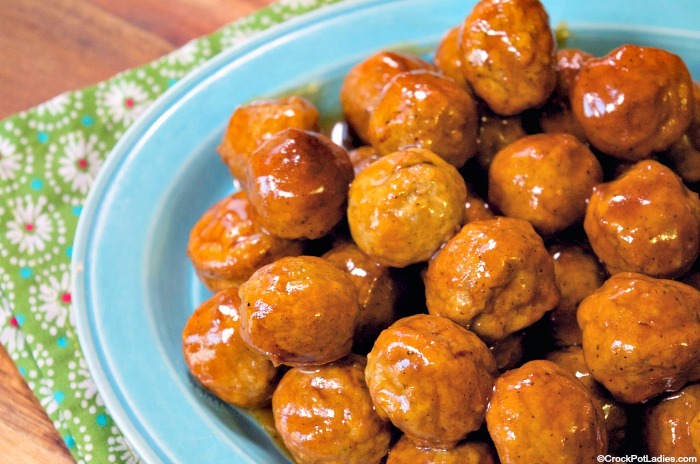 Add the frozen meatballs to a 4 to 5 quart slow cooker. In a small mixing bowl, mix together the remaining ingredients until combined. Pour the sauce over the meatballs in the slow cooker and stir to coat the meatballs in the sauce. Cover and cook on LOW for 4 to 6 hours or on HIGH for 2 to 4 hours. 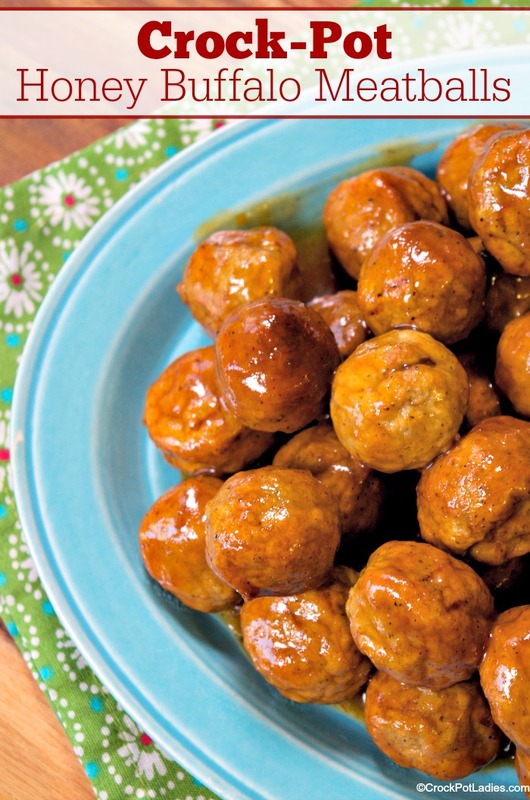 Turn slow cooker to WARM setting to keep meatballs warm while serving to your party guests. These meatballs were such a hit at a party I had over the weekend. My husband who is the pickiest eater ever was begging me to make these when we got home. Soooo good and super easy! So glad you and your husband enjoyed these meatballs Nikki!